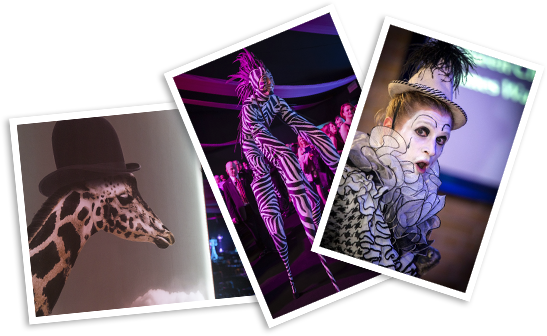 unique event styling that puts the wow into any event. With over a decade of experience, Event Art (a subsidiary of Table Art) has been designing and developing beautiful, contemporary event styling that is a work of art. We design and manufacture all our products in-house at our eco-friendly workshop enabling us to create Event Art to your own specifications. This includes adding your own logo or branding if required. 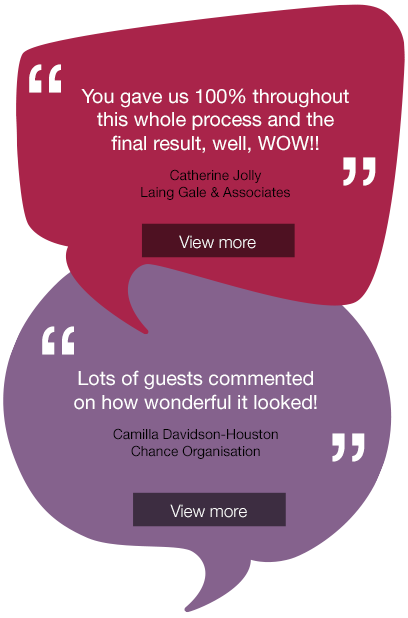 Over the last 10 years Event Art has helped bring style and sophistication to a host of events including The Ryder Cup, Sports Personality of the Year, Sony Radio Awards, MTV Europe Music Awards and The MOBOs. 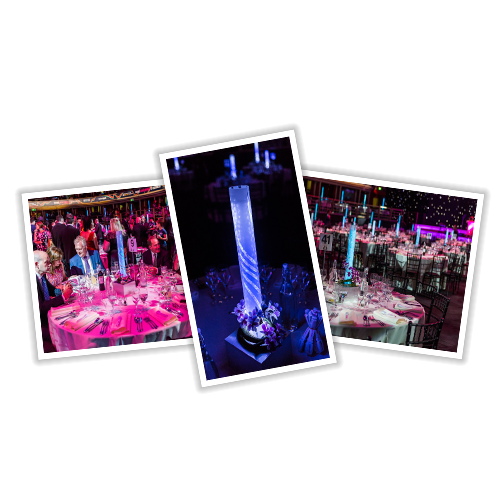 Our centrepieces have lit up venues all over the world including The Louvre in Paris, Dublin Convention Centre, Friedrich Stadt – Palast in Berlin as well as The Brewery, ICC in Birmingham, Old Trafford in Manchester and The Savoy, The Dorchester and Grosvenor House Hotel closer to home.